Ofsted are now with us and inspecting our service. It's been three years since the last inspection and we've come a long way. It's up to us to show Ofsted how we have improved and how the changes we have made are making a positive difference to the lives of children and young people in the city. I know it can be unsettling to be under the spotlight but our focus as always remains on improving outcomes for children and young people. This is your opportunity to showcase your good work. I am grateful for the hard work you do every day. Thank you. The neglect of children and young people is one of the most difficult areas within the childcare and protection field to identify, assess and intervene in. Find out what it can involve. Authorisation of at distance placements - The decision to place a child out of the area must be approved by the Nominated Officer, unless it is a Placement at a Distance, (i.e. outside the area of the local authority and not within the area of any adjoining local authority). In these cases the Director of Children's Services must give approval. Find out what is taken into account when making this decision. If you have a Personal Education Plan (PEP) meeting you must update this on Protocol. You also must update details if a child you are working with changes schools. Home visits are one of the most important aspects of safeguarding and child protection social work practice. This article is a timely and helpful reminder for all practitioners who undertake home visits to children and young people. The Adoption Team and Lee Pardy McLaughlin have produced a guide to writing later in life letters for children who are being adopted. You can read the guide on Beacon. The Council and its partners have won a prestigious award for their work in tackling child sexual exploitation. 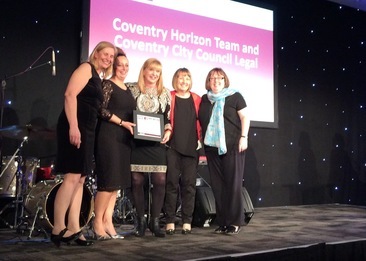 Well done to the Horizon Team and the Council’s Legal Services Team who scooped the Neighbourhood Champion prize at the NWG Unsung Hero Awards this week. 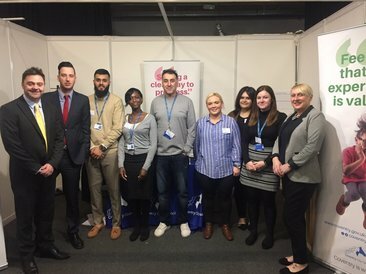 A team from Children’s Services spoke to more than 300 prospective candidates for social work jobs at a hugely successful jobs fair last week. 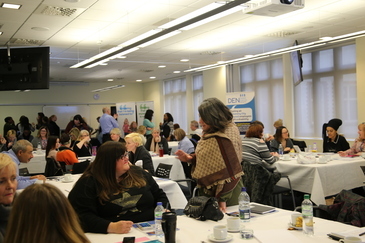 Last month more than 50 social workers and children and families first workers took part in their Signs of Safety training to help improve their practice. We now have 69 practice leads across the service. Feedback from the training was positive and you can hear what some people thought in this short video. Thank you to everyone who took part and to Karen Moir and the Organisational Development Team for supporting and arranging the training. One of our social workers is helping to shine a national and regional spotlight on the work of the Family Drug and Alcohol Court service. Tom Borro, Senior Practitioner in our Family Drug and Alcohol Court Service has recently written an article for Family Law about the service and how it is making a difference to families. You can read the article online now. 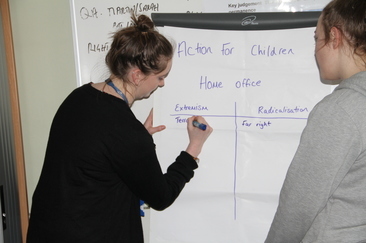 Two of our care leaver apprentices have been leading on work to create an app to help children and young people who are at risk from radicalisation or extremism. Olivia and Shiane have been working with the Voices of Care Council, the Youth Council, the Home Office and Action for Children to develop the app. The Home Office and Action for Children will return to Coventry in April to test out the app with young people and get their views on its effectiveness. You must let the EHM or LCS helpdesks know if someone leaves. Accounts must be closed when any team members leave to ensure we keep information secure. Managers are accountable for confirming when members of their teams leave. You must tell the helpdesks when a member of staff is due to be away for a period of time, for example on maternity leave. Their account can be suspended and restarted when they return. Work is progressing on each of the projects in our work to transform Children's Services and put children and their outcomes at the heart of what we do. Visit our update page to find out what's been happening this month. This workshop is part of the new Social Work Teaching Partnership we have with Birmingham University. Please discuss and agree your attendance with your line manager before booking a free place. Find out more about this workshop. Do you want to make a difference to children's lives? Could you be a patient involvement volunteer?